We had our fair share of natural disasters in 2017. So far, the country has weathered hurricanes, droughts, tornadoes, floods, and wildfires. Hundreds of people have died, and countless citizens have lost their homes and personal property. Clean up and recovery could take months or years. The Federal Emergency Management Agency (FEMA) was created to support citizens in improving “our capability to prepare for, protect against, respond to, recover from and mitigate all hazards.” After a federally declared disaster, those affected can apply for help. FEMA provides assistance for housing, medical bills, childcare, funeral expenses, household items, moving and storage, and a vehicle to those who qualify. It also handles the clean up of devastated areas. Unfortunately, there are always people who will want to take advantage of what they perceive as a free handout. 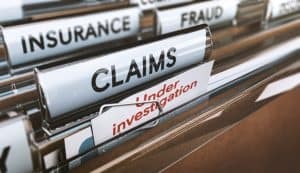 Filing a false claim with FEMA is a felony. This means five to 10 years in jail and up to $250,000 in fines. What if you are aware of someone who is filing, or has filed, a fraudulent claim with FEMA? Can you notify the government without putting yourself in danger? The answer is yes. If you wish to report a false claim, FEMA has a confidential fraud hotline: 1-800-323-8603. You may have to leave a message and a field agent will contact you for further details. However, you will still remain anonymous. Also, if you have applied for FEMA assistance and believe you have made a mistake or misrepresented your losses, you can call the FEMA helpline (1-800-621-FEMA) to adjust your claim and avoid possible prosecution. United States law protects individuals who report illegal activity at their place of employment. These laws regulating government agencies – and those who blow the whistle against them – can be strict and complicated, so you should speak with a qui tam attorney before reporting any fraudulent activity in your workplace. And, if you are wrongfully terminated for blowing the whistle on your employer, we will pursue a case on your behalf. At Plattner Verderame P.C., we advocate for and protect those who simply want to do the right thing. Call us today at 602-783-8793 or contact us to find out how our legal team in Phoenix can help.